After five weeks on the Camino, where we walked an average of 15 miles a day, Portugal was exactly what we needed. 10 days of relaxing strolls (WITHOUT backpacks! ), resting, and generally just hanging out in a country we’d never visited before. Glorious. But Portugal hadn’t been the plan. That’s the nice thing about slow traveling without an agenda though; when the whim strikes you, you head off to a new adventure. Up until about day 30 of the Camino, Portugal wasn’t even on our radar for the foreseeable future. We were going to finish the Camino and then continue walking an extra few days over to Finisterre and Muxia, and then spend whatever time we had left until our flight hanging around Santiago. It didn’t seem ideal, and the 10-day weather forecast was calling for rain, but what else could we do with those extra days? Until day 30, when we decided to spend some of our walking time discussing what places we wanted to hit while we were in Europe, and we began to realize exactly how many there were, and how little time there actually was to get to see them all. That was when Joe came up with a genius idea: forget about all that extra unnecessary walking and hanging around Santiago, and head down to Portugal instead! And just like that, the matter was decided. 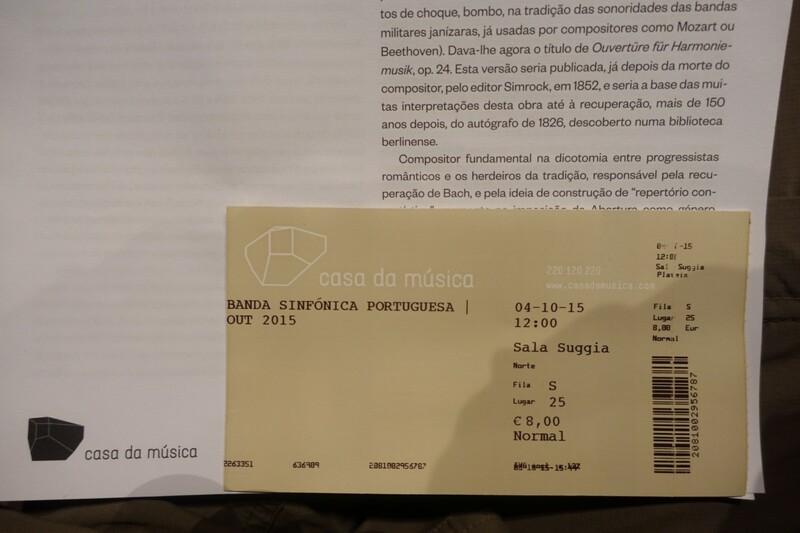 Our 8 euro tickets to see the Portuguese Symphony! general, and the first opportunity for us to really try out our new “retired travelers” lifestyle. The Camino was an adventure, but a far cry from what we wanted our life to look like over the next few months. 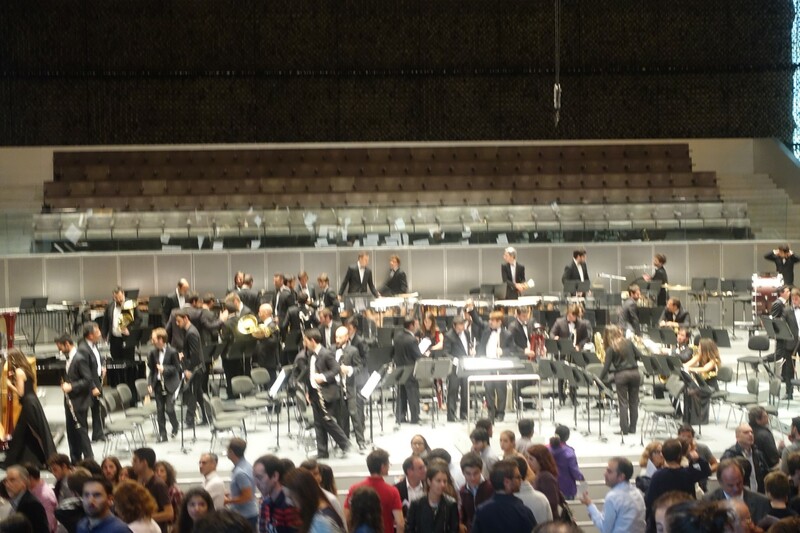 A blurry photo of the symphony–I blame the lighting, and Joe’s lack of photography skills. Anyway, back to the point. Porto was nice. Not too expensive, and reminiscent of San Francisco with its hills and winding streets. Definitely a good way to start recovering from the difficulties of the Camino. And then we got to Lisbon. Our AirBnB there was more like a tiny hotel, with one wonderful addition: it had a kitchen, fully equipped and exclusively for the use of the guests. If you haven’t gone a month without the ability to store refrigerated items or plan food in advance, I don’t know if I can explain how exciting that was. We went to the grocery store almost immediately and piled our basket high with chicken and eggs and milk, cereal and noodles, and even a few frozen pizzas. We could barely carry it all back. Ali checking out a classic Andy Warhol painting. We recovered. Up until this point, we were still both sore and tired from the Camino, and just generally worn out. So those other days, when it was rainy out and we had nothing scheduled, we did laundry (in a WASHING MACHINE! ), cooked some food, wandered around the city a bit, snuggled up under covers, watched TV shows, and read. And we napped. Don’t forget about naps. By the time we got off the bus back in Santiago the day before our flight to Germany, we were clean, well-rested, and most of the aches and pains from the Camino were healed. Torre de Belem (Belem Tower) at the waterfront in Lisbon. 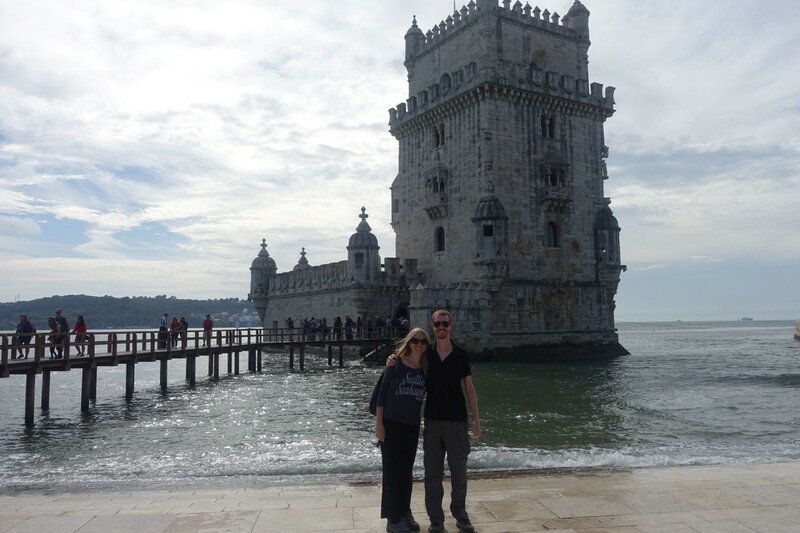 Portugal was beautiful and interesting, and Lisbon took our breath away on more than one occasion. But, more importantly, it was the perfect way to end that first phase of our travels and gave us the opportunity to decompress after our difficult journey into Santiago so we could head into Germany and the next phase refreshed and prepared for whatever would come next. I’ve heard Portugal is a good place to ER in – it’s definitely on my list of places to slow travel, at the very least. Good food, scuba diving, and surfing? Yes, please. Glad it served you well for recovery!